While most oil and gas jobs are concentrated in Saskatchewan and Alberta provinces, the current skills shortage now means that some companies operate a fly in fly out arrangement which transports workers from other areas to the oil fields. 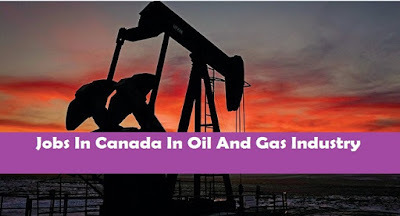 In order to be eligible for jobs in Canada in oil and gas industry, you will need to ensure that you are registered with the appropriate professional body. You will need to search to make inquiries to check which organization or association you need to register with, as it will vary from province to province. For example, in Alberta, you must be registered as a member of APEGA (the Association of Professional Engineers and Geoscientists in Alberta) in order to apply for a position and be recognized as a professional in your field. If you have no previous experience or special qualifications, but are interested in working in the Canadian oil and gas industry, you can obtain an entry level position. There is no need to have undertaken a special course of study, so these positions offer an excellent opportunity to get onto the first rung of the career ladder and work your way up. As these types of positions are very rarely advertised on a wider forum, you are more likely to be able to find this roles if you live locally to the oil field. Often, these positions are filled by a 3rd party firm with a contract to the oil company, so positions will not be advertised on the company's website and therefore you will need to research the relevant local radio stations and newspapers that are close to the oil producing area that you want to work in. Once you have done this, you can visit the website of the relevant local newspapers and browse their classified job adverts or listen to the local radio stations online to find details of companies that are currently hiring staff. One of the best ways to start out on your job hunt for a position in the Canadian oil and gas industry is to create an eye catching and comprehensive resume showcasing your skills and experience. Networking via social media platforms such as LinkedIn is a good way to widen your contacts in the industry and hear about vacancies more rapidly. There are many agencies that specialize in providing skilled staff to the industry and submitting your resume to one or more of these recruitment specialists is a good way of matching your talents and experience to a company that is currently hiring. You could also visit the websites of major oil companies to explore current vacancies and to apply directly for appropriate positions. What Skills Are Necessary To Be Successful In Canada's Oil And Gas Industry? When oil companies recruit staff, they are primarily concerned with whether the candidate has the appropriate technical skills to perform the role, and prior experience in a similar field is a distinct advantage, although transferable skills are also often taken into account. It is also important for applicants to display the right kind of attitude, and to be positive, responsible and innovative employees who are able to work well with others but also be self-motivated. Any overseas candidates who are interested in working in Canada's oil and gas industry must have recognized relevant qualifications within the industry as well as previous work experience and legal status to be employed in the country. Forming links with industry and professional associations also stands candidates in good stead thanks to their mentorship programs and network links with the major sector employers.